The sanctions are “very strong,” says Netanyahu, are close to "achieving their goal" and should not be relaxed. Israeli Prime Minister Binyamin Netanyahu on Sunday said sanctions on Iran are close to "achieving their goal" of dismantling Tehran's nuclear enrichment capability and should not be relaxed. "The sanctions on Iran are working. They are very strong; they are a moment away from achieving their goal," he said ahead of the weekly cabinet meeting. "The sanctions must not be eased before reaching the goal of dismantling Iran's enrichment capability -- the ability to produce nuclear weapons," Netanyahu said. Netanyahu met US President Barack Obama last week at the White House for talks over Iran's contested nuclear program, and then delivered an uncompromising speech on the topic at the United Nations General Assembly. "We do not oppose diplomatic negotiations with Iran," Netanyahu said in reference to the US invitation to Iran to engage in dialogue with the Islamic Republic. "We insist that these negotiations lead to the dismantling of Iran's enrichment capability." "Iran claims that it wants this for peaceful nuclear energy purposes," said Netanyahu. "Seventeen countries produce nuclear energy for peaceful purposes without even one centrifuge... and without enrichment, because enrichment is a main process in producing fissionable material for nuclear bombs." The next round of talks with the so-called P5 +1 – the United States, Britain, France, China, Russia and Germany – is scheduled to take place in Geneva on October 15 and 16. But Iran's Foreign Minister Mohammad Javad Zarif said on Sunday that previous offers by the P5+1 group on Iran's nuclear program were no longer valid and that "a new approach was needed." 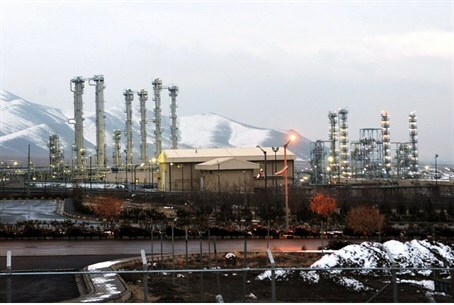 Those proposals required Iran to suspend enrichment of uranium to the 20 percent level it says it needs for a medical research reactor and halt enrichment at its underground plant at Fordo near the central city of Qom. The US and its allies suspect Iran of striving to develop nuclear arms under the cover of its civilian nuclear program, a charge Tehran vehemently denies.